Summary: We explore the concern of the atrial fibrillation patient community as to whether staying in afib long term could be a "death sentence" in the Patient Perspective column in the August issue of EP Lab Digest. Dallas, TX — In her first regular Patient Perspective column, which appears in the August issue of EP Lab Digest, StopAfib.org founder Mellanie True Hills talks about Atrial Fibrillation: The Patient Perspective to Better Care. Communication is a key to better treatment, and one avenue to better communication is for healthcare providers to better understand what afib patients are experiencing and to recognize that afib is not necessarily the benign condition that some perceive it to be. 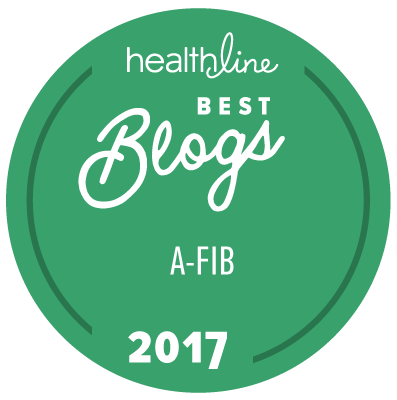 The article explores the patient concern about whether staying in afib long term could be a "death sentence." Just because patients don't appear to have symptoms, or don't mention them because they think it's just a normal part of aging ("birthday-itis"), doesn't mean that afib isn't having an impact on them and their lifestyles. The afib guidelines suggest that if rate control medications don't improve symptoms, then rhythm control medications can be tried. But if patients don't complain or mention symptoms because they think they are a normal part of aging, then they may be left on rate control and in afib long term. And since long term afib could possibly lead to heart failure, and recent research has suggested that fibrosis that can build up from long-term afib might increase the risk of strokes, wouldn't it be worthwhile to see if patients can be returned to normal sinus rhythm to see if they want to find a way to stay there? This is likely to be a very controversial topic, but this is a valid concern in the patient community. The article also mentions that September is Atrial Fibrillation Month globally, which was created and designated by StopAfib.org to raise awareness of afib. It also mentions that it is now nationally-recognized in the US as National Atrial Fibrillation Awareness Month. It is a time for educating about afib, so stay tuned for announcements of upcoming events during Afib Month, and make sure to check the News & Events Page on our site to find out the latest events. And for those who are planning atrial fibrillation community events, the graphic on page two shows how to list your event in our Afib Community Calendar.